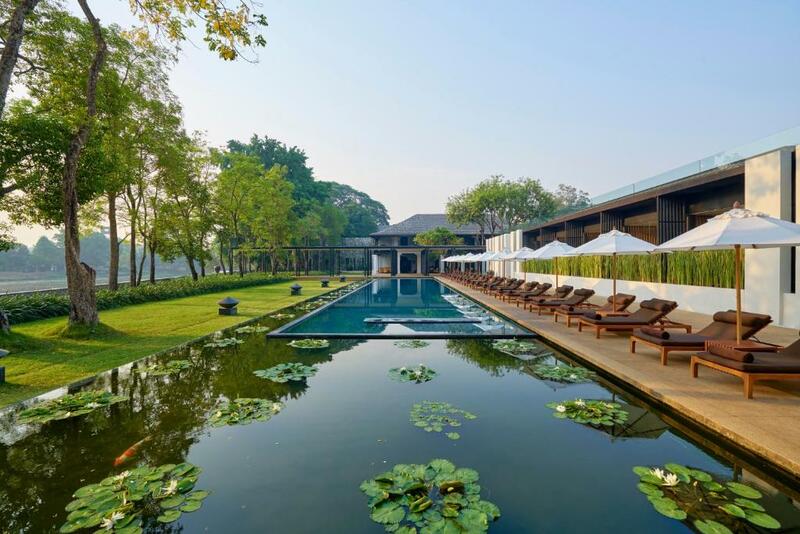 Lock in a great price for Anantara Chiang Mai Resort - rated 9 by recent guests. 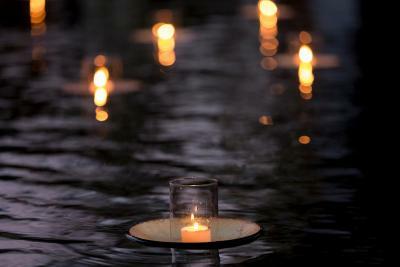 Delightful memories in anantara. Kind staff and great food! I heard there is a yoya class in the morning. Swimming pool is also clean. There is no other reason not to choose this place. Amazing hotel! Everything was superb-totally exceeded our expectations! The front desk team is superb. Especially Vincent and Abe were very helpful and gave us the answers to all our needs. 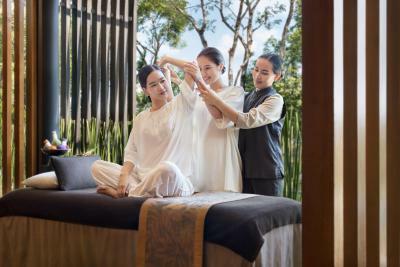 So was the SPA team. Like the location . 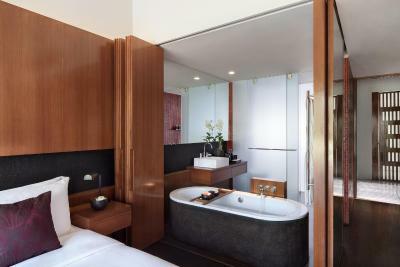 Hotel provided a peaceful retreat and design perfect in Minimalist Asian design excellent and Outstanding service , very comfortable Room . it is such a nice environment, quiet, clean, near the river. 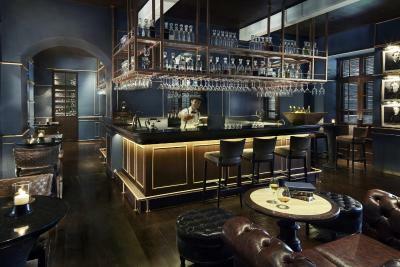 Very nice layout designed by leveraging the old building of British Embassy, created a very unique experience to stay. Extraordinary service, the greetings, smile and hospitality, made us feel at home and being looked after. Nice food at breakfast, a lot of variety to choose from. 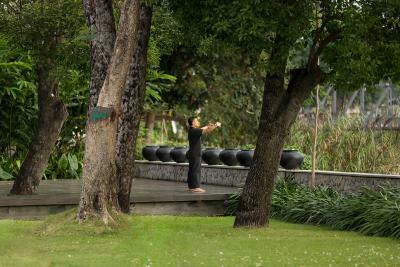 I love the morning exercise (yoga, Taichi) by the river, created a energized start for the day! Highly recommended! Beautiful and serene environment and lovely service. Good location as well. Great breakfast buffet. Dinner at the restaurant was really nice, although pricey. An easy walk to the night markets, and you can walk to the centre of town. Although this can be long so recommend ground transport. All in all a nice property to stay at. Breakfast was awesome. Staff were really well trained in hospitality. This place is in a class of its own. Nice location right on the Ping River. Easy to walk or get a tuk tuk to visit Chiang Mai's sights and restaurants. The staff were friendly and efficient. Kevin on the front desk was always so helpful and Por in the restaurant welcomed us with a lovely smile every morning. The restaurant 1921 was excellent. Chris the head chef made a point of coming out to meet us when he heard we were interested in cooking Asian food at home - although nothing like his tasty food! However, he did give us a few helpful tips! The pool isn't huge but never seemed to be a problem finding a chair or having room to swim. 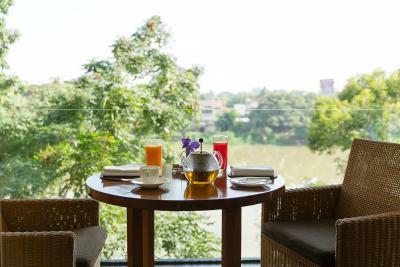 Our deluxe river view room was well serviced with a nice balcony. 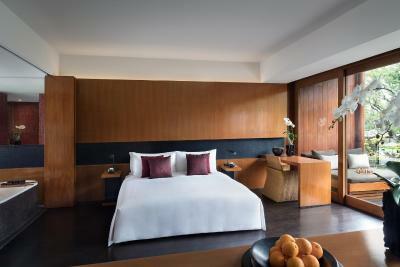 The hotel generally was clean and well maintained with upgrading work going on in some rooms while we were there. 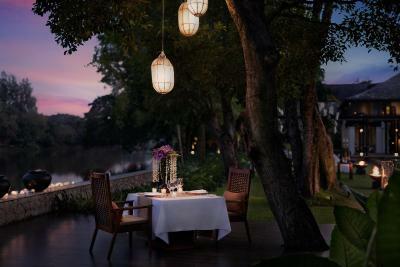 Located along the banks of Mae Ping River, Anantara Chiang Mai Resort provides a peaceful retreat overlooking Suthep Mountain. 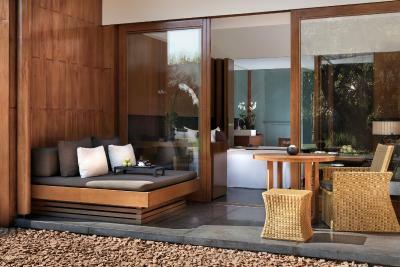 Boasting minimalist Asian designs, the resort features a spa and pool. 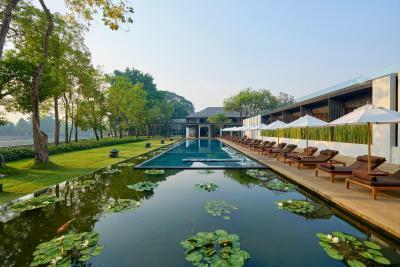 Anantara Chiang Mai Resort is a 10-minute walk from Night Bazaar and a 30-minute drive from Patara Elephant Farm. Chiang Mai International Airport is 5 miles away. 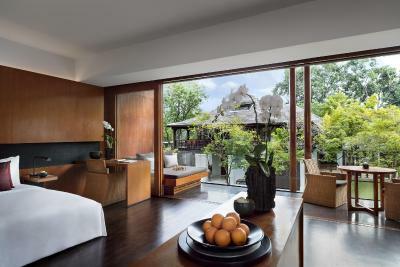 Rooms and suites at this property feature muted tones, teak flooring and private courtyards or balconies. Flat-screen cable TVs, free WiFi and a coffee machines are provided. 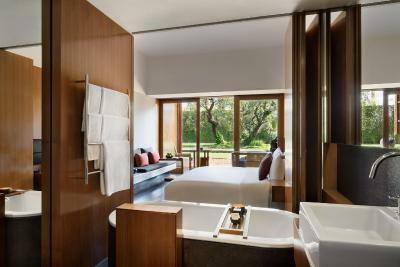 En suite bathrooms offer rain showers. 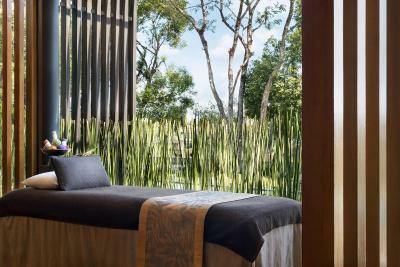 Surrounded by scented gardens and water features, the spa offers massages, sauna rooms and body treatments. 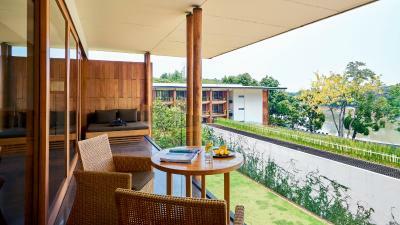 The resort has a well-equipped fitness centre and offers yoga and aerobics classes. 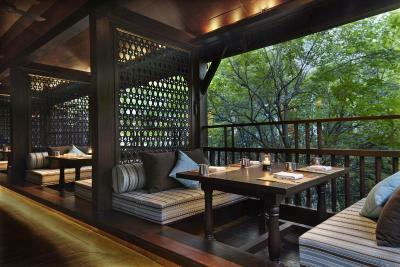 Guests can also opt in for a Thai cooking class and experience at Spice Spoons. 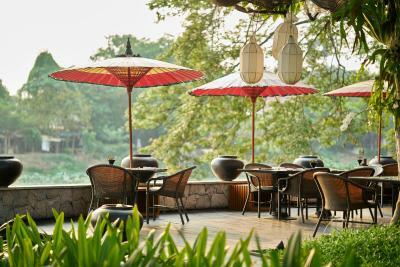 Northern Thai specialities can be enjoyed at The Restaurant, which houses a bar serving a variety of drinks. 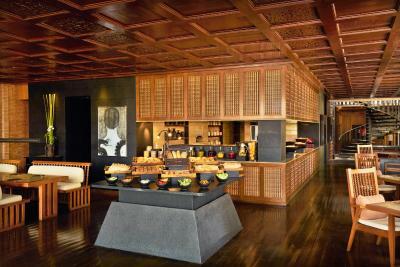 The Service 1921 Restaurant & Bar serves contemporary Asian-inspired dishes and cocktails and offers a setting for Anantara's famous weekday afternoon tea ritual. 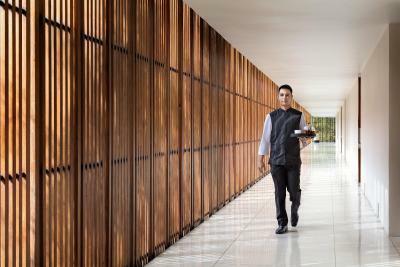 Light bites and refreshing beverages can be enjoyed at both The Lobby and Kasara Lounges. Chang Khlan is a great choice for travellers interested in shopping, night markets and street markets. 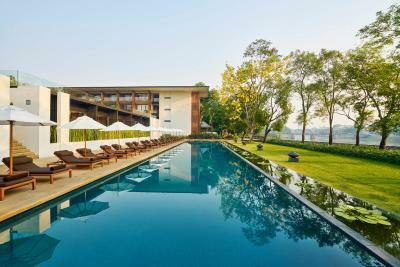 This is our guests' favourite part of Chiang Mai, according to independent reviews. 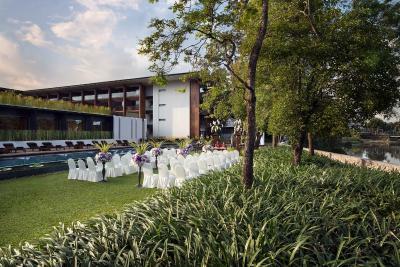 Anantara Chiang Mai Resort has been welcoming Booking.com guests since 10 Sept 2009. 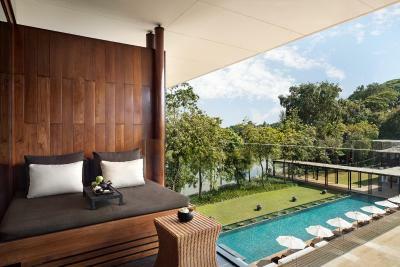 When would you like to stay at Anantara Chiang Mai Resort? This room has no capacity for extra bed. Free! Free public parking is possible at a location nearby (reservation is needed). 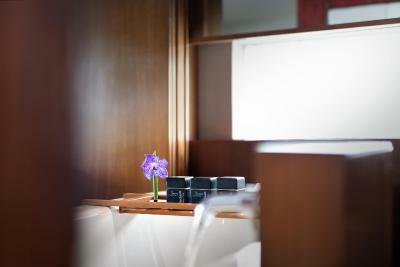 Suite features a BOSE entertainment system. - 7 pieces of Laundry per day (excluding dry cleaning). 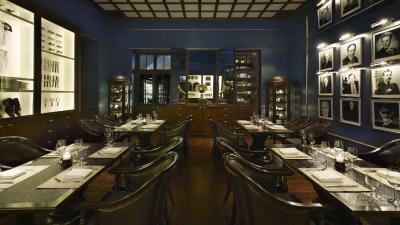 - Kasara Lounge Access (breakfast, tea and coffee from 07:00-23:00 and evening cocktail from 18:00-20:00). 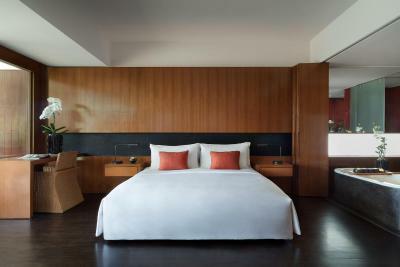 This room type has a capacity to accommodate extra bed. 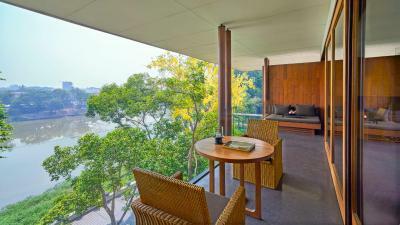 Featuring a river view, this spacious room features a balcony, air conditioning and cable TV. Featuring a river view, this room has a balcony. It has air conditioning, a satellite flat-screen TV and a DVD player. Its en suite bathroom has a bathtub, a shower and a hairdryer. Free toiletries, slippers and a bathrobe are also available. 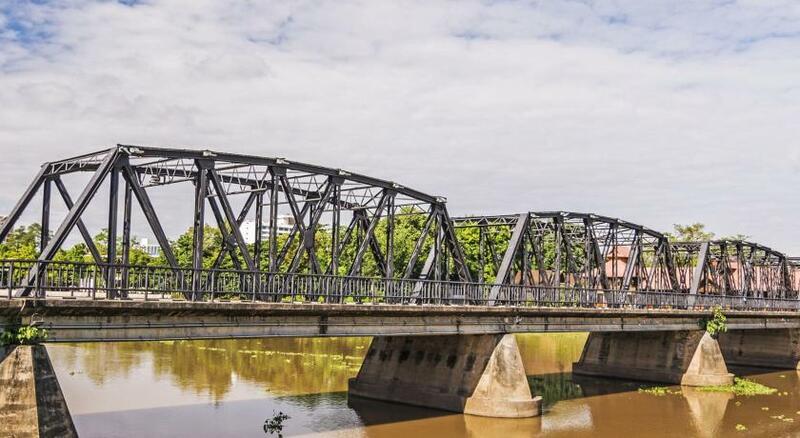 Property surroundings – This neighbourhood is a great choice for travellers interested in shopping, night markets and street markets – Check location Excellent location - show map Guests loved walking around the neighbourhood! 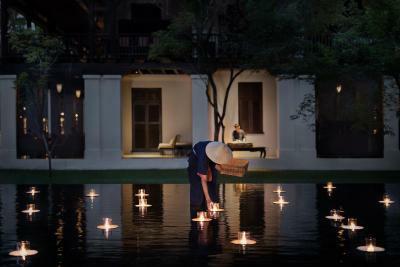 House rules Anantara Chiang Mai Resort takes special requests - add in the next step! 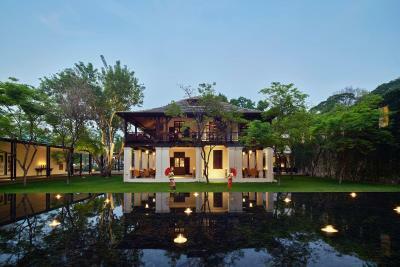 Anantara Chiang Mai Resort accepts these cards and reserves the right to temporarily hold an amount prior to arrival. Please note that extra bed is only available for Club Suite. 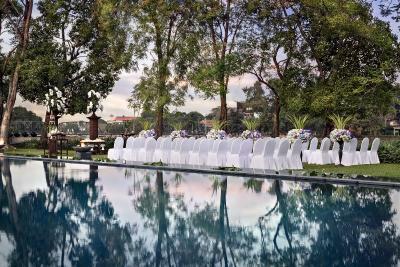 Please note that Anantara Chiang Mai Resort's swimming pool is exclusively reserved for adults and children aged 12 years and above. 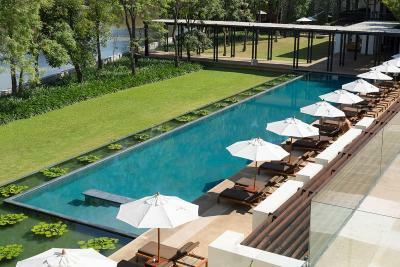 Guests with children aged below 12 years can use the rooftop swimming pool located at Anantara Serviced Suites. Please note that a compulsory Gala Dinner is included in the room rates of 31 December 2019. The rates of the Gala Dinner are based on room type and occupancy (guests sleeping in extra bed will be charged separately). One of the most picturesque neighbourhoods in Chiang Mai! 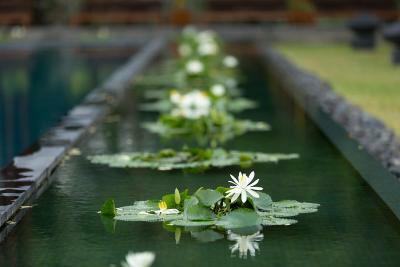 The architecture and landscape design of the property provides a modern yet relaxing environment. Our room is setting up to face garden and we feel we have our own exclusive view. The staff is very welcoming and personal down to every detail, which really makes us feel very comfortable of our stay. They did not give me the room I had booked. 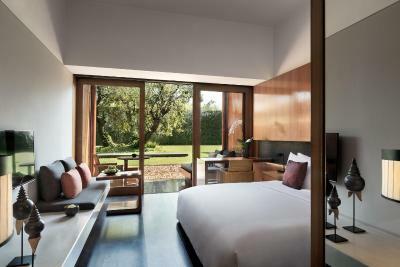 They moved me to another room with a view I had not booked [I booked garden, they gave me two rooms that look at a wall]. They treated me like I was stupid, made me feel like I was asking the world of them even though they did not give me what I had paid for to the point where I tried to cancel the booking because they were being so inhospitable. 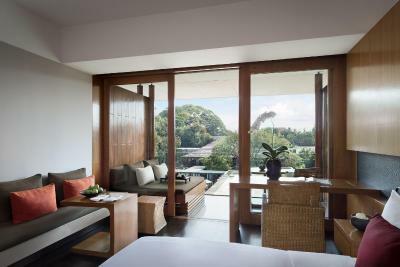 Once I was finally given a real garden view room [2 hrs later] I was frustrated with the experience but happy with it. Basic things that could be solved easily, but are very annoying. I was in a big suite, with a big window, and there was a hole between the curtains that left the sunlight enters the room very early in the morning. The lights in the various lamps in the room are different. Some are white/cold, others are yellow/warm. They should be all the same, preferably yellow/warm, as white/cold lights are good only in hospitals and kitchens. Finally, I went to the restaurant and, after ordering the food, I was given a piece of paper on food safety that I had to sign, saying that I would eat it at my own risk, and would hold the hotel harmless from any problem. This was one of the most ridiculous things I have ever seen in a hotel/restaurant, specially of such category. If the hotel is not confident on the food it serves to its guests, simply does not offer it.